Learning about the Days of Creation is always a fun lesson for your homeschool or Sunday School classroom. 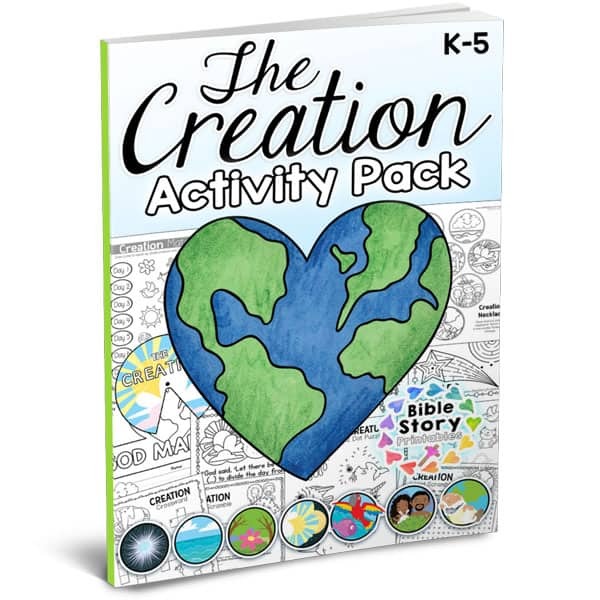 Today, we’ve released a special K-5 Activity Pack that includes TONS of fun for teaching the Days of Creation to your students. 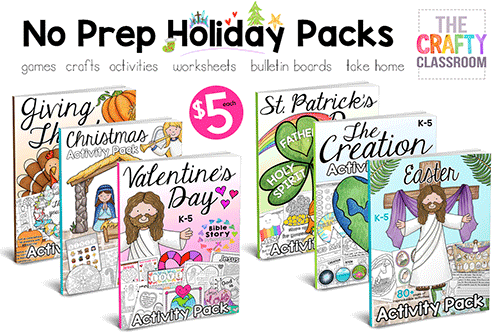 This Days of Creation Bible Activity Pack is just one of many No-Prep, Holiday Bible Activity Packs available in our store. These are some of our best-selling titles for good reason! 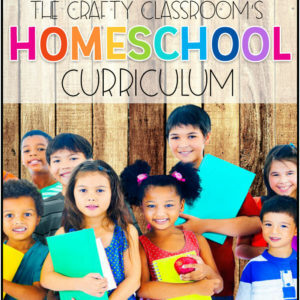 Each pack includes games, crafts, activities, worksheets, scripture copywork, take-home activities and more for multiple age levels. We get feedback from parents and teachers who continue to use these packs year after year with their thematic units. Students cut out and assemble to create their own story retelling set. Bump is a favorite game with my children and this version helps students memorize what God made on each of the days of creation. 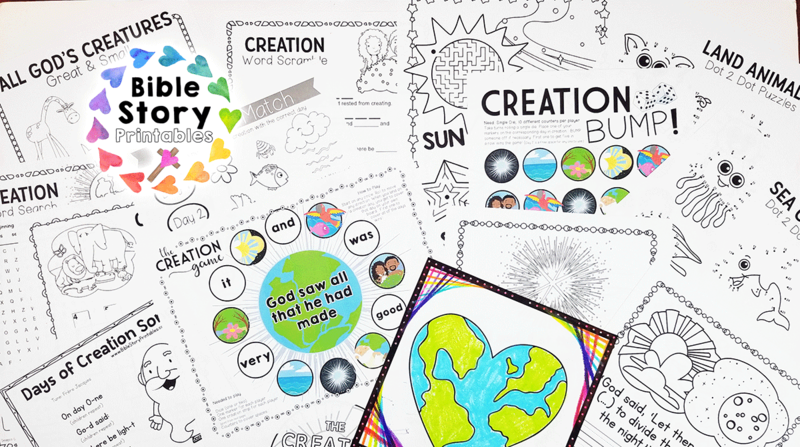 Fun, thematic Dot2Dot and maze pages you can use when learning about the days of creation. Print one set each to make a necklace for students to take home. Each page features a different day in creation along with a key scripture references. These would be fun to use each day to build a book at the end of your unit. A Cursive set is also available for older students, also KJV. A fun, multi-player game you can use during your Creation Bible lessons. Collect each day of creation to WIN!! 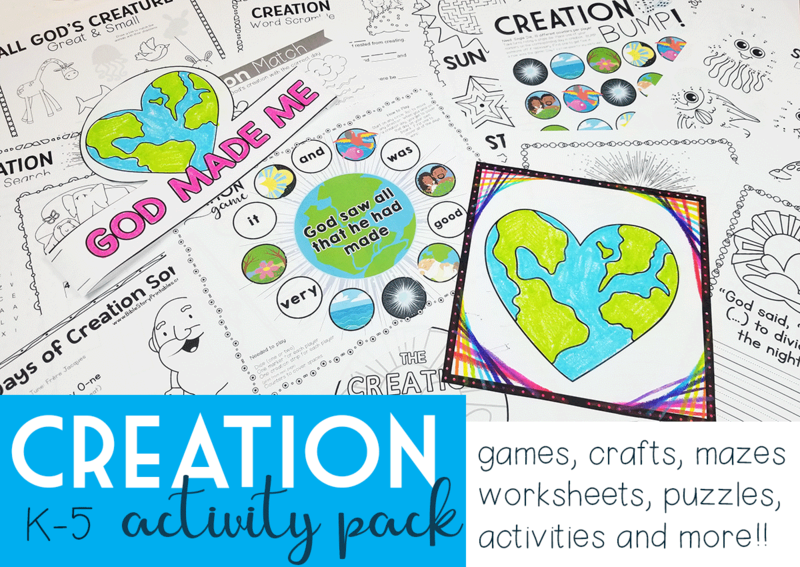 Each page offers a fun way to get your younger students involved in learning the days of creation. 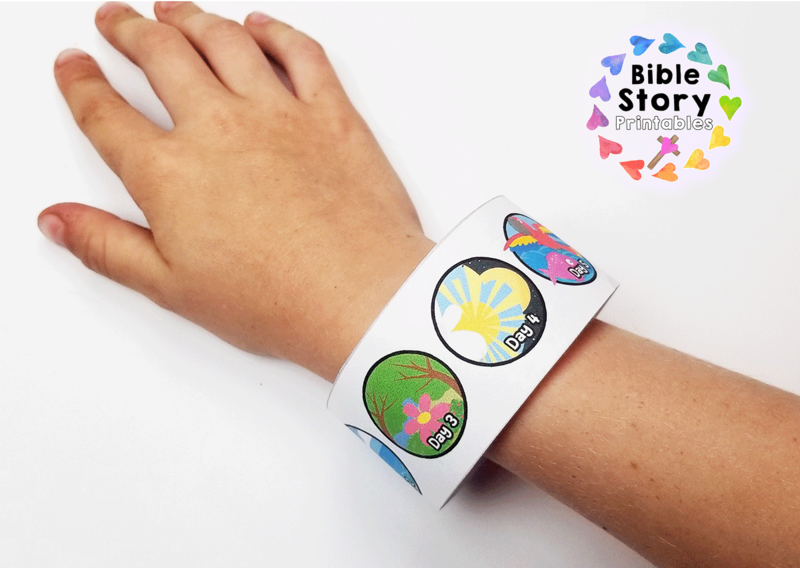 Our Bible Crowns are LOVED by children everywhere, and we’ve added a fun God Made Me Bible Crown to this set. What a fun way for students to take home this important message. A simple opening song for circle time or for easily memorizing the days of creation. This would pair nicely with holding up visual cues or by using the Creation bracelets for reference. A simple way for students to retell and memorize what God made on each day of creation. 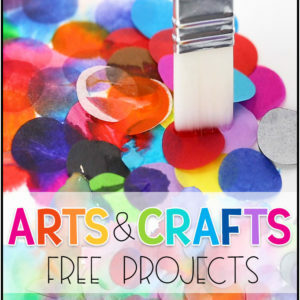 As you can see we’ve included so many fun games, activity pages, art projects, copywork, puzzles and more! It’s ALWAYS a good time to learn about the Days of Creation, but this set pairs especially well with an Earth Day unit as well. 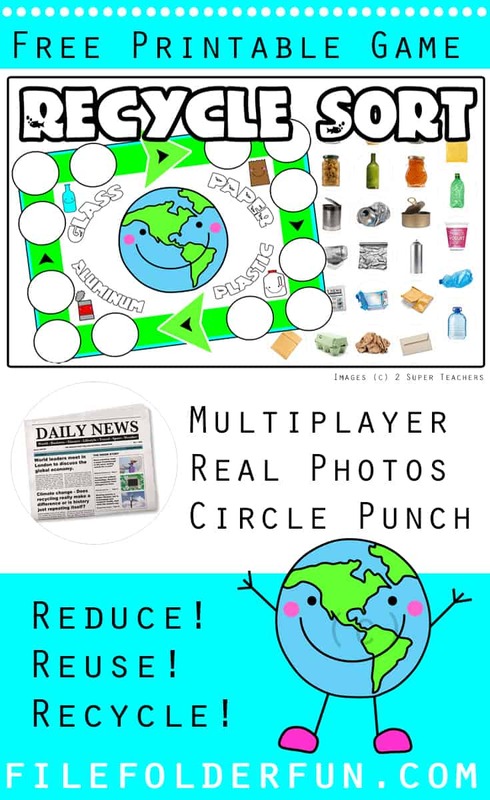 Earth Day is April 22nd, and if you are looking for some fun, low-prep educational activities for your students you’ve come to the right place! 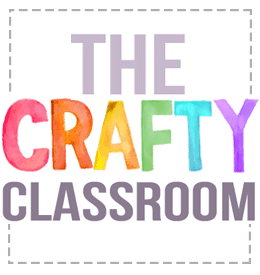 At The Crafty Classroom we believe that learning should be fun, and there is nothing more fun then making something you actually wear and take home with you! Today, we’re featuring a fun and free Earth Day Necklace craft available at PreschoolMom.com. 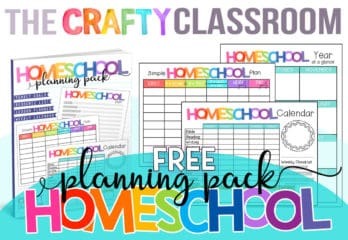 This craftivity couldn’t be easier to implement in your classroom. You’ll have the option to print in color or black and white. This is a bonus for students who don’t like color (or become frustrated with coloring smaller images). You will need scissors, string, a hole puncher, and coloring materials. Students color and cut out the medallions. Help children use the hole puncher to punch holes over the greyed out circles on each medallion. Thread the yarn through the holes to assemble the necklace and tie in the back. By the end of this crativity, with the cutting, hole punching and threading, your students will have worked on many fine motor skills all while learning and having fun! 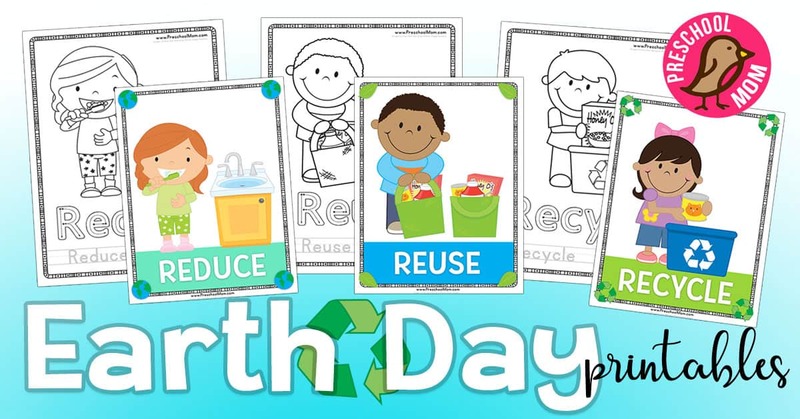 This is a great way to send children home with their Earth Day message, just be sure to remind them to recycle their necklaces when they are done wearing them! Who doesn’t love to sort the recycling? Children LOVE to sort things! This is a fantastic game for children who love to sort. Because this game can be played with up to 3 players (if you want more players just print more gameboards and cards). Best of all this game is Print, Punch & Play meaning you can assemble it quickly and easily without any papercuts! You can print this game free from File Folder Fun. Love the clipart? Check out 2SuperTeachers for more. Earth Day is right around the corner and it’s such a great opportunity to teach children that God wants us to be good stewards of the earth. 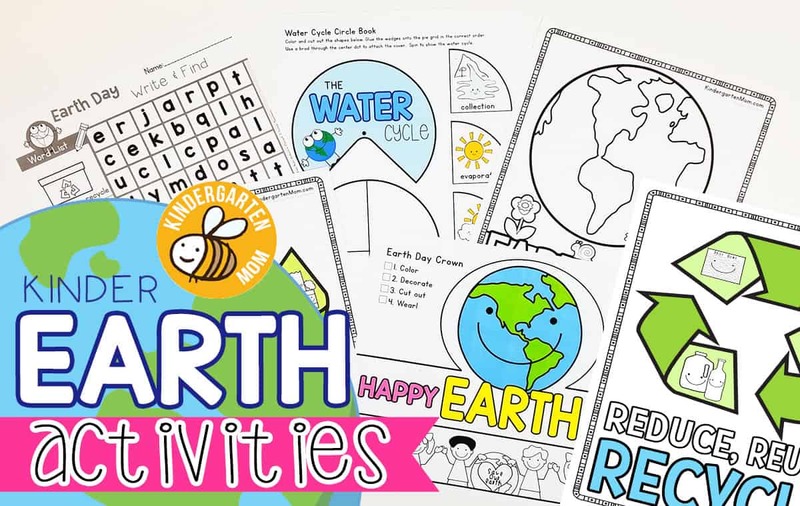 I’ve created a few coloring pages and worksheets you can use with your students to encouarge them to think of ways they can help take care of the world we live in. Rocks and Minerals Discover Day! I used a few different kits that I picked up at the local teacher store, as well as our local museum. If you’re looking to pick up a kit for your classroom, I think the Minerals kit was better because it came with a streak plate and a nail to test the rocks with. However, the more “fancy” rocks like the ones in the first photo are the ones we picked up at the Museum, and you can snag a nice kit of some here online. Click here for the rest of them, including details for each one. I also made up this handy Rocks and Minerals printable to keep track of all the information we collected about the rocks. 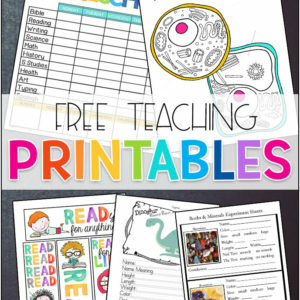 These print 2 to a page so you can easily have a bunch on hand for your kiddos to fill out. And CurrClick has a Rocks and Minerals Flash Card Set for Free! Stay tuned for more Rocks and Minerals Activities! Why, oh why did I ever get it in my head to make one of these? As if my house isn’t messy enough at the moment. I doubt we’ll be polished up in time. But who really starts homeschooling with a clean house anyway right? Maybe we can teach Home-Ec the first week. There’s no law against that is there?